Attention, lovers of public access radio, there is a new application that you need to download. 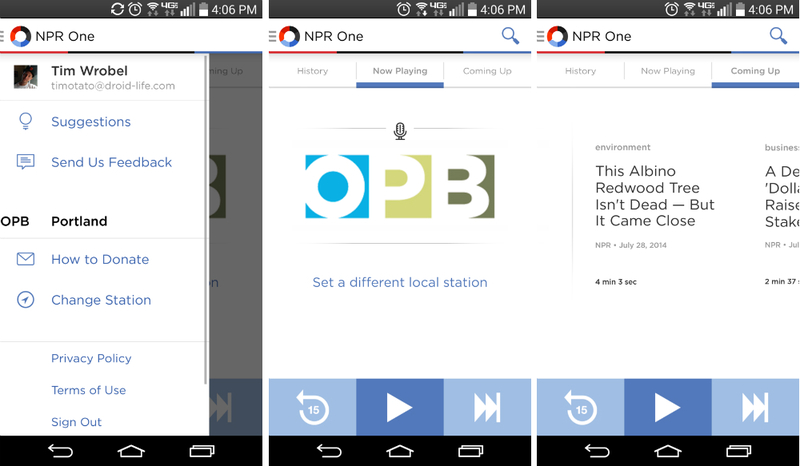 NPR One, which hit Google Play today, allows radio listeners to take their favorite shows on the go with their phones, while also delivering a highly curated playlist of broadcasts and stories which you will love. Upon opening the app for the first time, you need to login using Google+, Facebook, or an NPR login, but once setup, the app takes your location and begins feeding your curated news for the area. You can also search by stories through the search bar, just in case there is a particular subject you are looking to listen about. The app is barebones to say the least. While it is very minimal, it is quite handsome, as well as easily navigable. There are three main sections – one for playing and controlling audio, for browsing topics, and for saved feeds. The app is completely free, so if NPR is your thing, check it out.